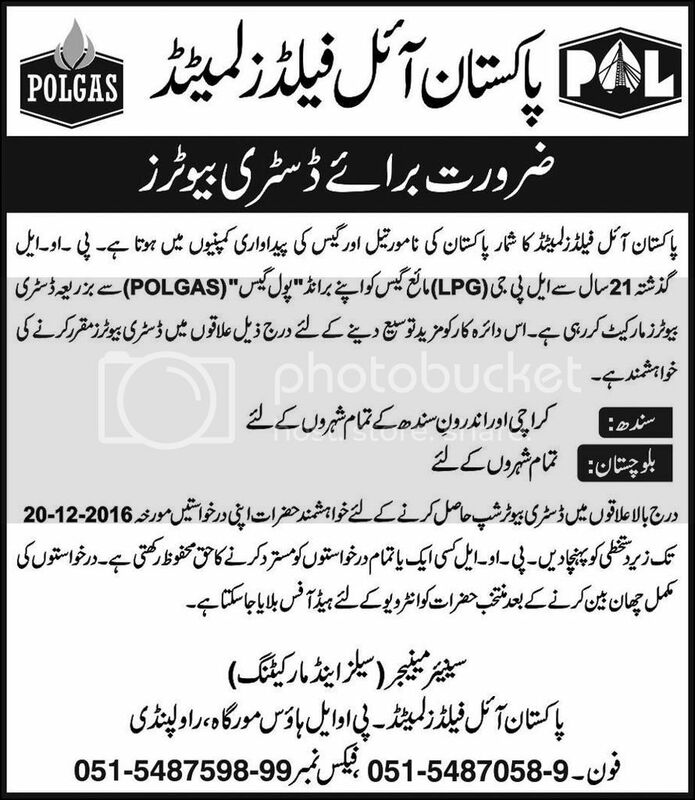 Distributors Required In Pakistan Oil fields Limited POLGAS. Copyright The Daily the Express Newspaper Pakistan. SolarMax Distributors Required All Over Pakistan www.powerhighway.net Copyright The Daily The News Newspaper Pakistan. Copyright The Daily The Jang Newspaper Pakistan. Molty Health Care Range Distributors Required. Copyright The Daily The Jang Newspaper Pakistan. Atlas Copco Distributors Wanted Construction Tool Range.